Yours is the fury in the Game of Thrones Baratheon Burnout T-shirt. The soft burnout tee has a screen printed stag antler that reaches up your torso with the house words “Ours is the Fury”. 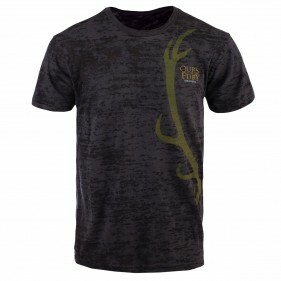 Show your pride in House Baratheon and that when you mess with the stag you get the antlers in this exclusive Game of Thrones T-shirt.